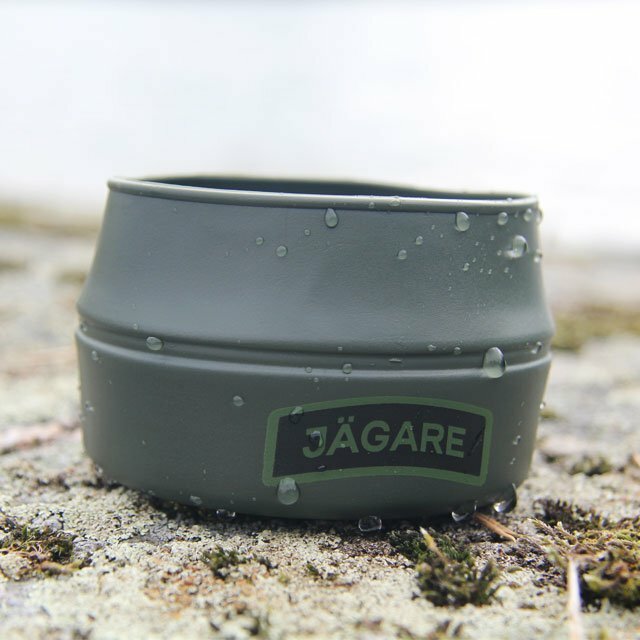 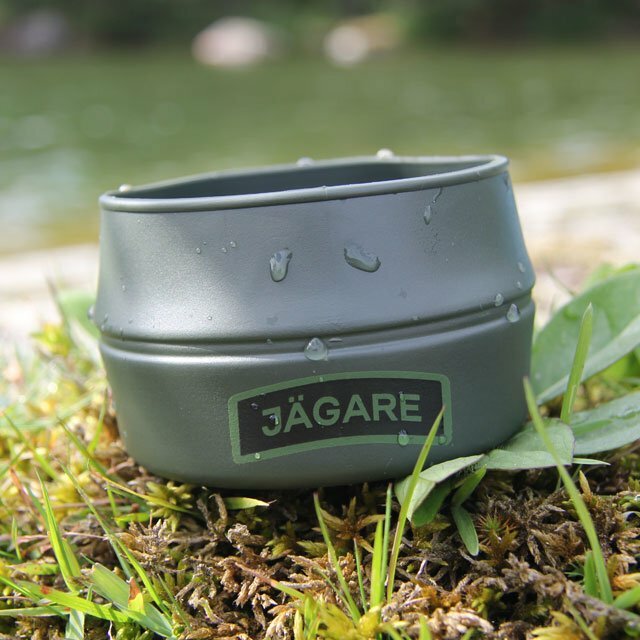 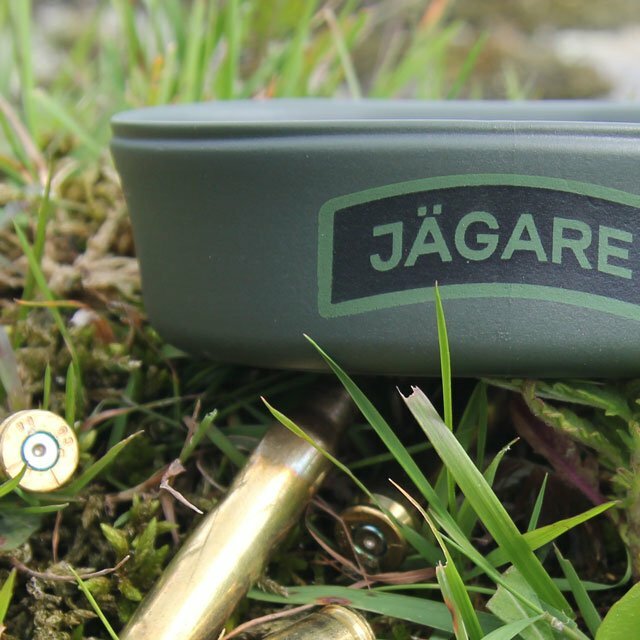 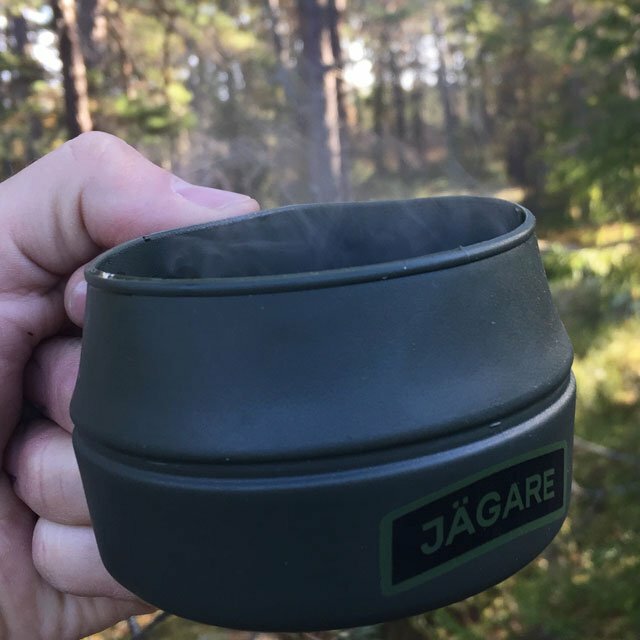 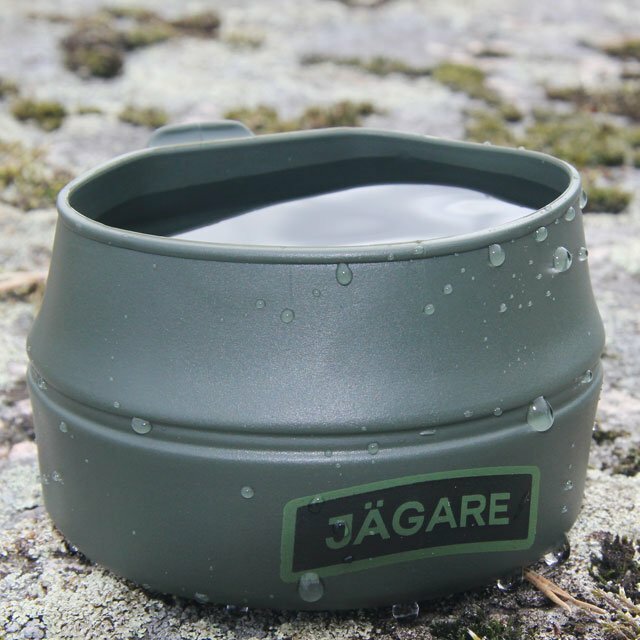 On this olive green lightweight folding cup (from the known manufacturer to the true Swedish Armed Forces) we have chosen to add the text Jägare. 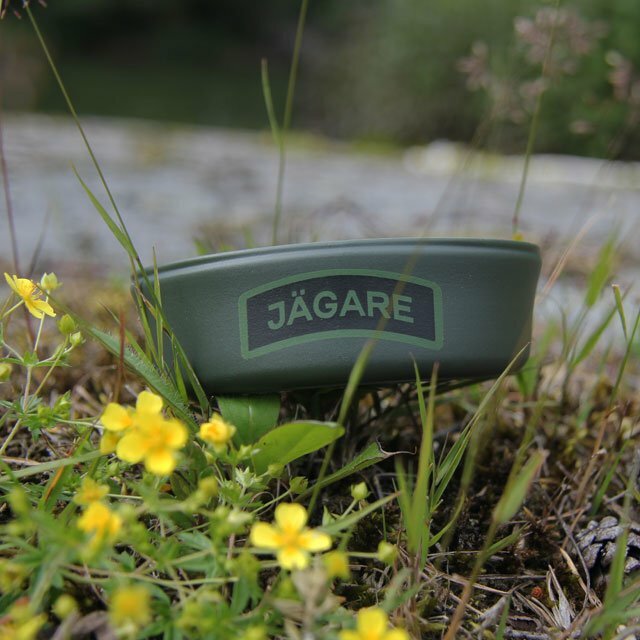 There is a long tradition among Swedish units to have their own colored and logo printed "Kåsa" to signal the soldiers belonging. 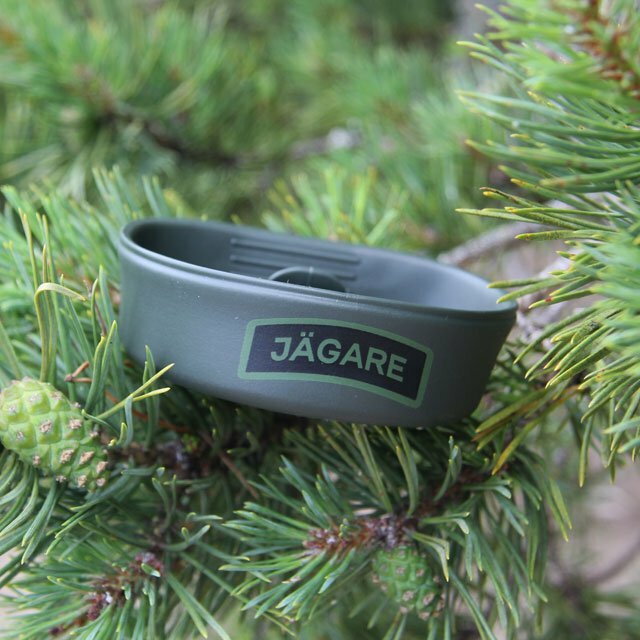 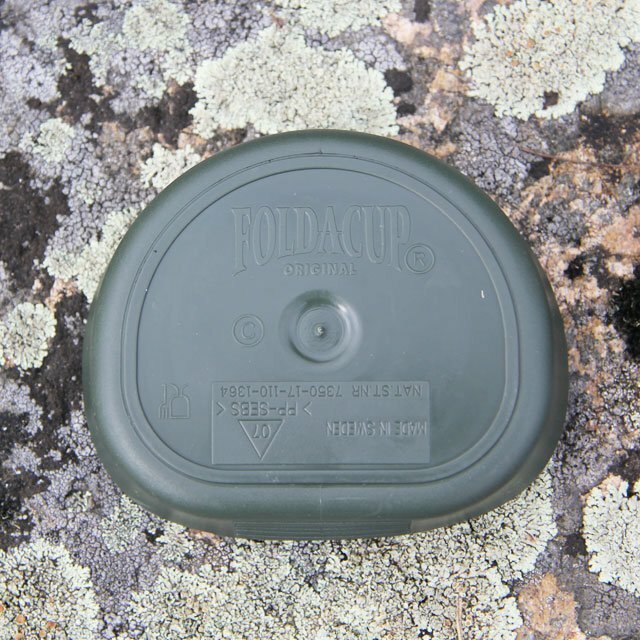 This is an issued item foremost in olive green color, and it is used frequently by Swedish soldiers. 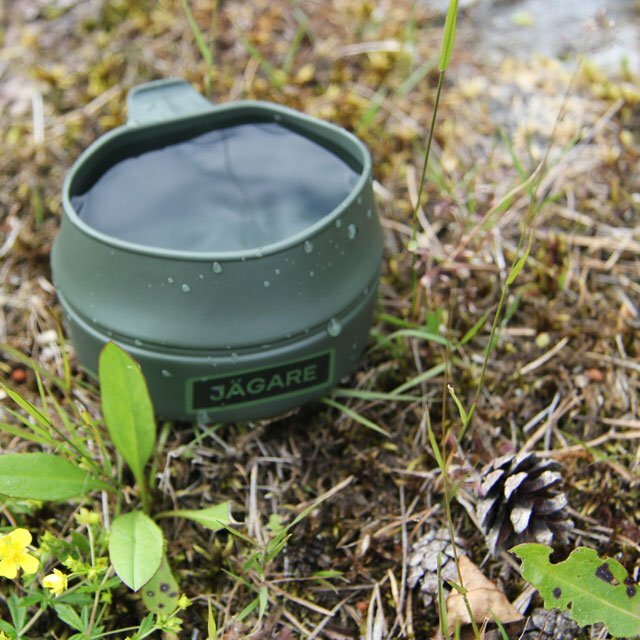 It is considered an honor to receive a units folding cup as token gift! 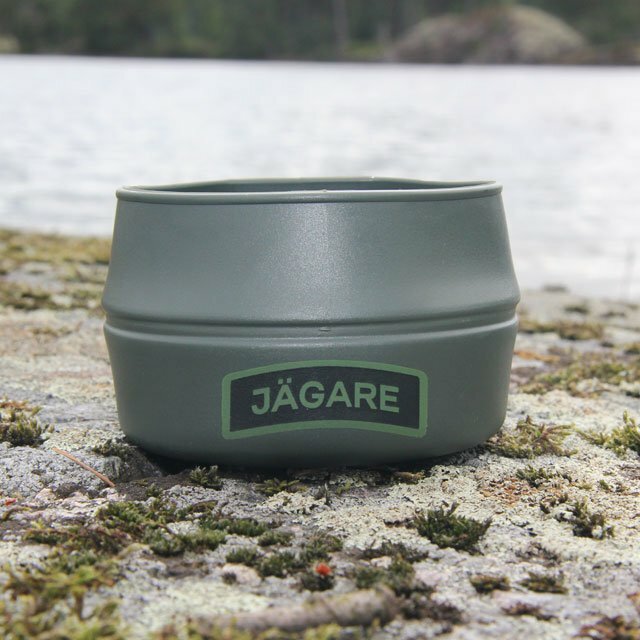 Now you can enjoy this formidable product that makes you easily grab a cuppa in the deep green forest or directly scoop up from the cold water spring in treeless Laponia! 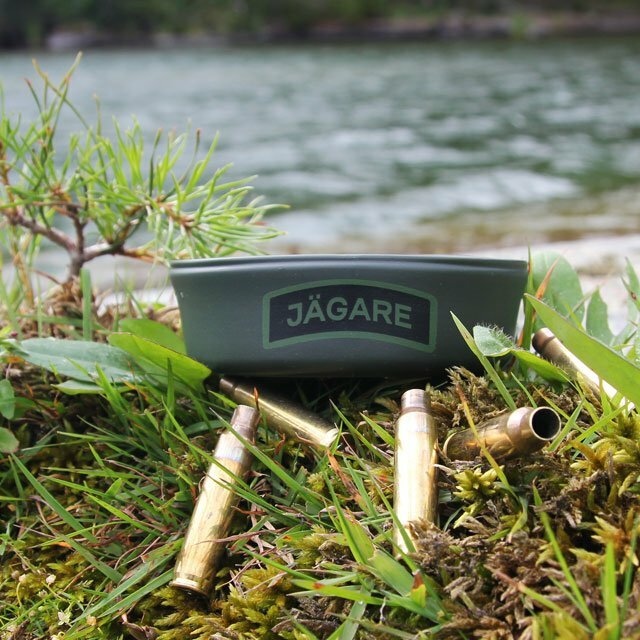 Found in almost every Swedish soldiers uniform pocket.. if not they should drop and give you ten on the spot!